Yesterday’s regular box check had two occupied boxes. One had what we think was a Natterer’s bat. It was difficulty getting a good vie last night and a second contained a number of brown long eared bats, but here were too many to be sure how many. 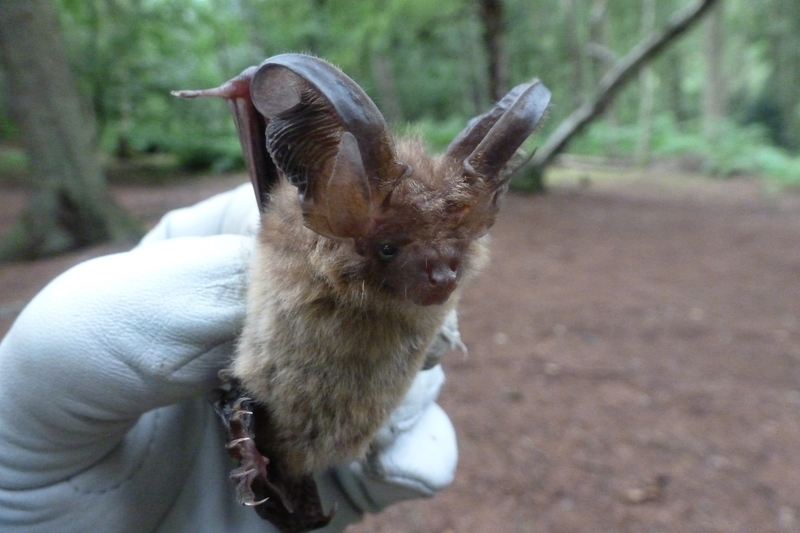 The Natterer’s was very interesting as we have never caught one at Stockgrove, so Bob and Jude headed back today. Alas the Natterer’s had moved on, but we found a total of 10 bats in the other box. One of these was one Bob had ringed earlier in the year, but the other were given a lovely ring each. The bats were very long suffering and when the box was returned to the tree the exit of the box was blocked for twenty minutes to give them time to settle. When the stuffing was removed, the bats stayed put.